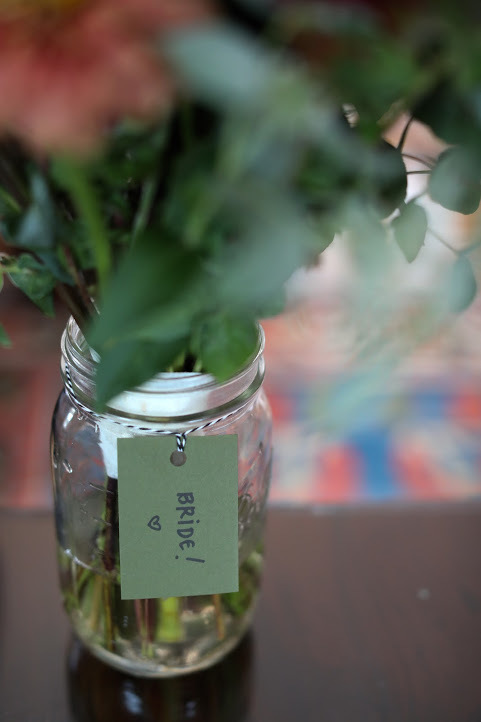 We offer a range of options for incorporating our local and organic flowers into your wedding or other event from DIY flower buckets to full-service floral design. Email us at fourrootfarm@gmail.com to get on our calendar early, and for information about pricing. Please include in your email the date, location, and size of your event. All photos above are courtesy of Uplift Photography and taken at the Lace Factory in Deep River, CT. 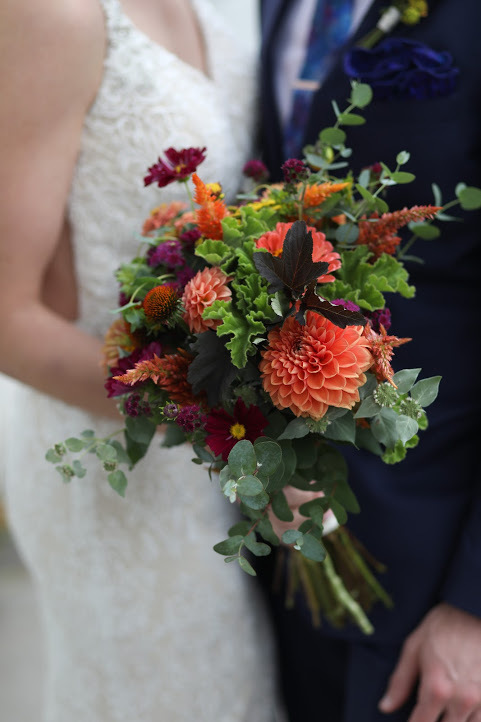 These are flowers that Caitlin arranged for her brother's wedding in Glacier National Park when we were just starting to think about doing weddings a couple years ago. These are not flowers we grew at Four Root Farm (as much as we would have loved to ship flowers, it didn't seem practical so instead she drove all around the state of Montana buying them from farmers out there before the wedding!) but are representative of the types of flowers we grow and are used here to show our range of design services. These two photos are by Carrie Ann Photography in Glacier, Montana.